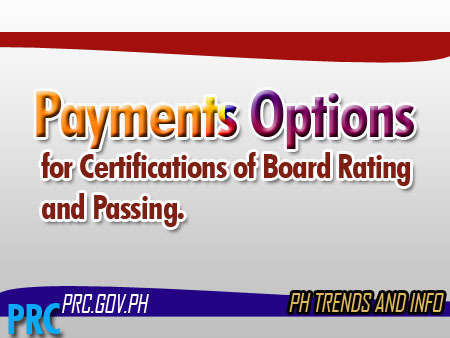 Home PRC Payments Options for Online Application for Certifications of Board Rating and Passing. Payments Options for Online Application for Certifications of Board Rating and Passing. Online Application for Certifications of Board Rating and Passing. The Professional Regulation Commission announces that starting on March 18, 2019, its Online Services will accept application for Certifications of Board Rating and Passing.